A groundsman at the estate was using a ride-on lawnmower when he fell into one of the lakes. The lawnmower fell on top of him and pinned him down under the surface of the water. Police said the man (who is believed to be in his 30’s) suffered “life-threatening injuries” after being underwater for “a number of minutes”. After being pulled from the water, the man was given first aid by two of the Queen’s personal protection officers. He was then taken to Addenbrooke’s Hospital in Cambridge via air ambulance, where he is fighting for his life. The incident occurred at the estates Lower Lake, the largest of four lakes at Sandringham, about 250 yards from the Queen’s residence and next to the Estate Office which is also known as York Cottage. The accident happened around 1:30 pm this Monday; police officers along with a HSE inspector visited the scene of the incident later that day. If the Constabulary in Norfolk are convinced there has been no foul play, either the local council’s health and safety officer or the HSE will take over the investigation. 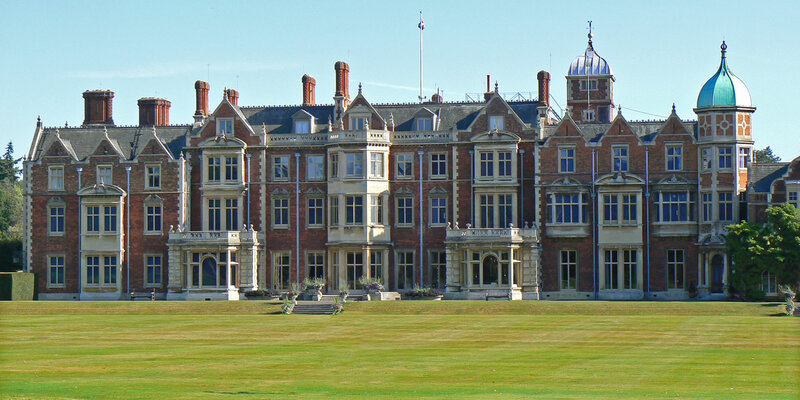 If there is any evidence of negligence on Sandringham estates part, the HSE could begin proceedings to prosecute the Sandringham Estate as a corporate body. As the owner of the private estate the Queen is deemed as head of the corporation. Although the monarch is exempt from both civil and criminal prosecutions, as the owner of the Sandringham Estate, the Queen would be liable for any fines levied against the estate. A spokeswoman from the Health and Safety Executive said: “At this stage the police are leading the investigation. It is hard to find a 100% risk free work environment, however your employer should go to certain lengths to provide a workplace that is safe as possible. Your employer should enforce health and safety regulations as well as comply with legal guidelines in order to prevent any members of its workforce coming to harm. If you have been injured at work and believe that your employer could liable because they have not adhered to the relevant safety practices then you could be entitled to claim compensation. Call us on 0151 735 1000 and speak to our accidents at work experts. Our team of Liverpool personal injury solicitors has experience in successfully representing those who have been injured at work.